Who doesn’t love being a parkrun tourist? I always pack my barcode and runners when I am going on a trip and recently I had an opportunity to visit Falcarragh parkrun in Donegal along with five other regulars from Tralee parkrun as we were visiting that part of the world for a mountaineering weekend. I was joined by Mary O’Driscoll, Maeve Higgins, Bairbre Hickey, Magella Diskin, Joanne Kearney and Bertie Hickey. As we were staying close by Falcarragh, our Saturday morning plans were a done deal and our hiking boots and maps were replaced by runners and barcodes. Falcarragh is a small Gaeltacht town in west Donegal. Only a 295 mile drive from Tralee! We arrived in pleny of time to be welcomed by some of Falcarragh’s core team. They explained how the paths were built especially to enable the setting up of parkrun. This must’ve been a huge undertaking by the local people which involved a lot of fund raising locally and then the hard graft which has gone in to build the paths which are a labour of love. Not only have they succeeded in building a wonderful weekly community event, they have also created an amenity used by local people on every day of the week. There was a palpable buzz at the start line as parkrunners started to gather and lots of people greeted us and gave us a friendly welcome. After all, we were a long way from home! 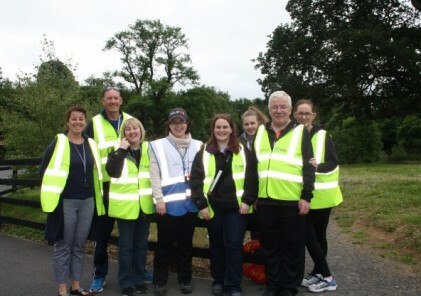 We shared parkrun stories together before run director Paul Anthony McFadden greeted us all along with the other parkrun tourists and gave us all a big cheer for visiting them. All the hard work has paid off as the 5k is a beautiful run in around the woods with lots of lovely twist and turns, where you can see and greet your fellow parkrunners. There is a walled garden too, and gorgeous bluebells pave the way. You couldn’t ask for better. Afterwards we joined our fellow parkrunners for some post-run analysis and a cuppa and biccies kindly served to us by some volunteers. So next time you are on an away trip don’t forget your barcode! 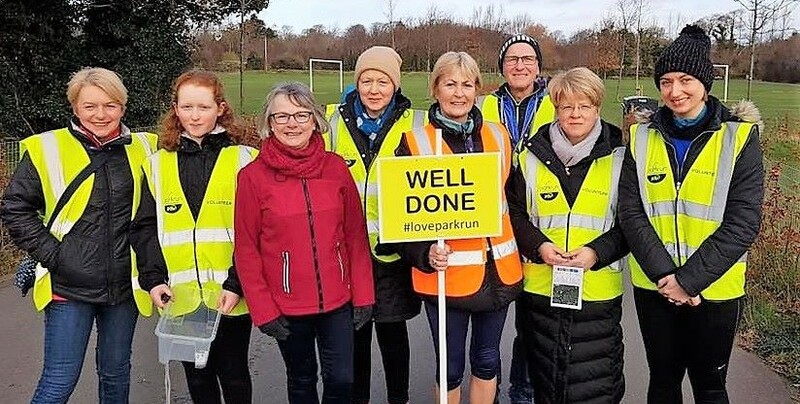 You are sure to get a warm parkrun welcome wherever you end up in Ireland, or across the world for that matter, and there are so many parkruns to choose from.